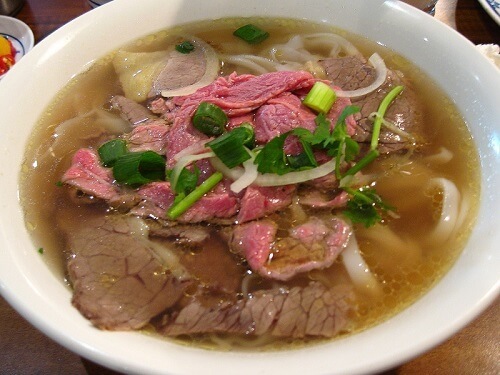 Pho is one of those dishes that has been becoming more and more popular. As people venture out to try new restaurants, they want to try new recipes and Pho is one of them. The problem is that pho is long and involved, requiring hours of simmering and prep just to get the broth right. This recipe makes a quick broth by taking canned or boxed broth and simmering it with those aromatics, to give it the flavor without all the work. The fixings are all up to you, but they suggest sirloin, sliced thin to cook up quickly and evenly. This soup has become quite popular over the past few years and people want to cook it at home. Using store-bought broth saves the normally laborious boiling of bones for hours.